Quezon City as the gay capital just like San Francisco and Amsterdam? Why not, if what Quezon City Vice Mayor Joy Belmonte wants would be achieved. 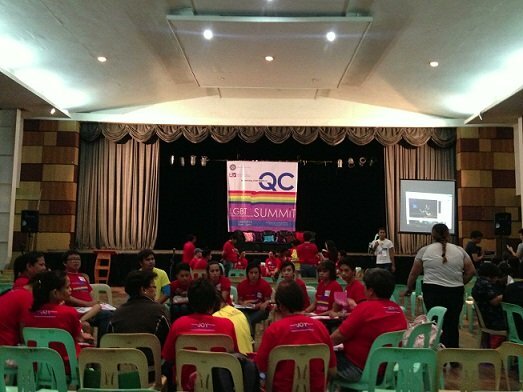 “We want Quezon City to champion when it comes to practicing the rights of the LGBTs,” Belmonte said during a summit for the LGBTs organized by the Quezon City government in partnership with the University of the Philippines’ Center for Women’s Studies. 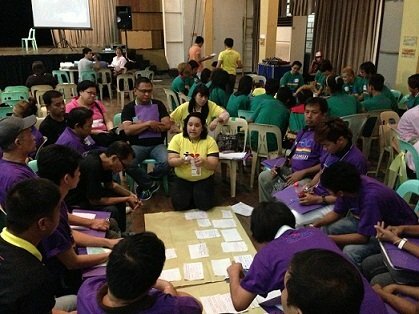 The summit was to promote awareness and strengthen the rights of the LGBTs in Quezon City. LGBT stand for Lesbians, Gays, Bi-sexual, Transgender. “The primary objective of the summit is to gather the concerns of LGBTs from different teams and representations from different districts which will be submitted to the office of the Vice Mayor of Quezon City. They will study and use the data to amend the Anti-Discrimination Ordinance,” BJ Eco, project coordinator of Quezon City LGBT Summit said. It was on September 16, 2003 when the Anti-Discrimination Ordinance (Q.C., Ordinance No. 1309) was passed in Quezon City, authored by Councilors Janet Malaya, Restituto Malangen, Ramon Medalla, Eric Medina, Jorge Banal, Diorella De Leon, and Jesus Suntay. The city ordinance prohibits all acts of discrimination directed against homosexuals in any office in matters of hiring, treatment, promotion or dismissal in any office in Quezon City. But for many LGBTs in Quezon City, they consider the Anti-Discrimination Ordinance as lackluster and too generic. It didn’t address other concerns of the LGBT community in Quezon City. “Although there’s already an Anti-Discrimination Ordinance in Q.C., we feel like that there should be a detailed provisions on what the ordinance covers. The ordinance was simple and it didn’t touch on some issues the LGBTs in Quezon City are facing,”Eco added. Belmonte suggested that the ideal way to make amendments in the current city ordinance is to get first hand experiences from the people who have actually experienced being discriminated against. “We wanted to gather different representatives of LGBTs in Quezon City and ask them to give us recommendations on how we should amend the Anti-Discrimination Ordinance so it will be more comprehensive,”she explained. Last November 16, the Q.C. 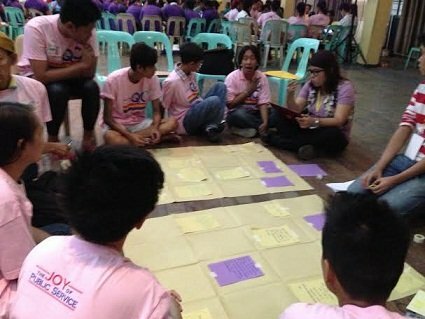 government invited LGBT organizations and individuals as well as some heterosexuals who support LGBTs, most of them from Quezon City, in a meeting to highlight the pressing matters of the LGBTs. There were 300 participants; 240 of them invited by the office of the vice mayor through barangay networks. The remaining 60 were from LGBT and ally Quezon organizations which are either Quezon City-based or have made deals and partnership with the local government. The summit highlighted areas where gender discrimination is rampant: family, community, religion, education,employment, legal, media, and health. Specific instances of bullying and discrimination in school, in the workplace and in church were shared. One participant reported that Catholic churches in Quezon City discourages LGBTs to attend mass or volunteer in their activities. “The church should not discriminate anyone who wants to serve God,” he said. They also asked that they should be entitled to free condoms and contraceptives. The summit also received some critical comments from other LGBT organizations, saying that the event was too limiting and it only focuses on the concerns of the LGBTs in Quezon City. “In can work both ways. You can consider this summit as limiting, but we can consider this as a trailblazing move that the Quezon City government is doing for the LGBT community. And we’re hoping that other local municipalities mirror what we’re doing,” Eco said. “We wouldn’t be surprised if one day Quezon City will be like San Francisco or Amsterdam where LGBTs are properly respected and their rights are guaranteed,” Eco added. The LGBT summit also aims to inspire other local governments to hold the same awareness events in their respective cities. Other major cities in the Philippines have also passed their own versions of Anti-Discrimination Ordinances are Bacolod City, Davao City, and Cebu City.